I believe that when the Israel lunar lander turned on its engines to begin its decent to the surface of the moon, it was attacked by an alien craft which shot the lunar lander with an energy beam that disabled the craft. It was shot down by the craft in the above screenshot. 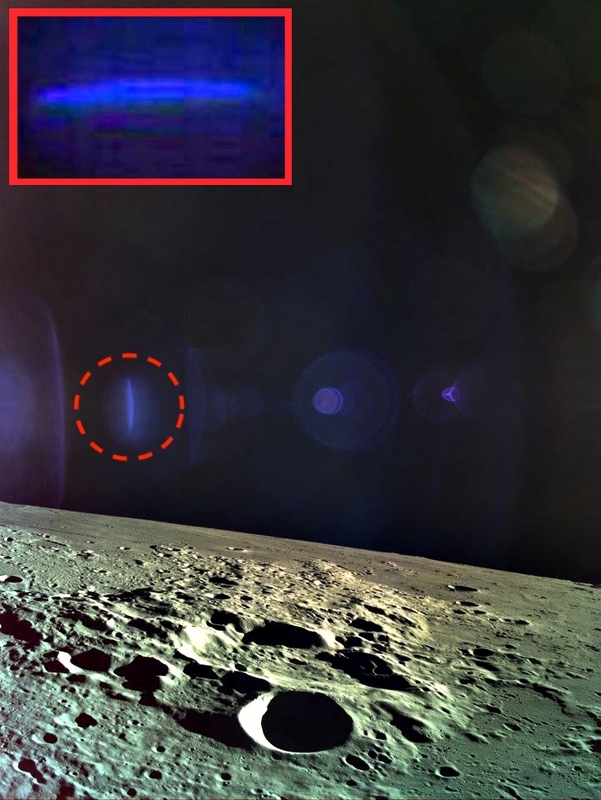 If you look closely at the last photo taken by the Israel lander, you will notice a reflection of light shooting left and right. 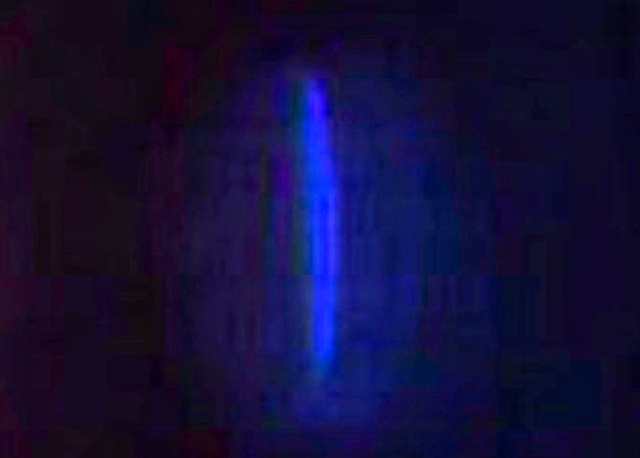 Its coming from the blue object in the photo. In the photo is a long dark blue craft standing upright. It looks just like a disk on its side. And its so bright that its causing light reflections on its right and left in the photo. I believe this craft is responsible for the destruction of the Israel lander. It shot a burst of energy at the lunar lander that caused the lander to lose control and crash to the moons surface. There is a reason humans have not been back to the moon...its because we were not invited to go back. Aliens made it clear during the Apollo missions that astronauts were not wanted on the moon. This object began to descend to the surface of the moon...the aliens spotted it and deemed it to be a threat against...an uninvited guest trying to come into there home. That is why they destroyed it. They knew it was unmanned and only research gathering tech, so they nipped it in the bud before it found any useful information that cause humans to want to come there. They do not want humans there. Only craft that have had direct contact with the aliens and made agreements could do such a thing. A simple 30 meter radio telescope could accomplish such a job. If you look carefully at the photo you will see that the blue area of light is a solid object. Look at the enhanced photo of it and you can see that there are two thick lines running down it. That shows that this is a solid object. There is no doubt in my mind that aliens shot down the Israel space craft.